All these discarded doors are now en vogue – the older, more beaten up, the better, it often seems. 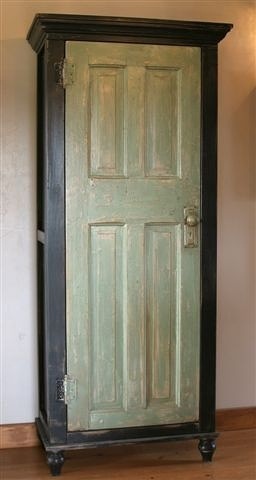 It doesn’t hurt that old doors look so cool! They’re versatile, too, with uses ranging from traditional coat racks to avant garde art pieces. In the following examples, you might find the perfect fit for an old door you’ve had your eye on. Hallway mantel/coat rack – A really novel way to display some of your favorite photos, this task is fairly easy to accomplish. Country coat rack – A country twist on the coat rack, this kind of piece can draw the eye and bring style to a boring entrance to your home. Coat rack with shelf – Combining a coat rack with shelving helps take advantage of smaller living spaces. Full door picture collage – This vivid piece can encapsulate a lot of your family’s history. It’s ease of instillation means it could also be a revolving display featuring a particular time in your family’s history. Towel rack – This bathroom towel rack brings a bit of poise into a room that often lacks such things. A fairly quick project, you can have your bathroom looking better by nightfall. Hallway message board and desk– Communication is key in any household, and this approach may help you get more across to housemates in less time. At least it will catch their eyes. Chalkboard calendar – Talk about communication. This idea puts your week front and center, and give everyone in the house a common area to discuss future plans and events. The coolest coffee table around – With this project, a little carpentry skill goes a long way. Think about it, though – because of the low risk of damaging something valuable, doors are the perfect medium to get your carpentry feet wet. 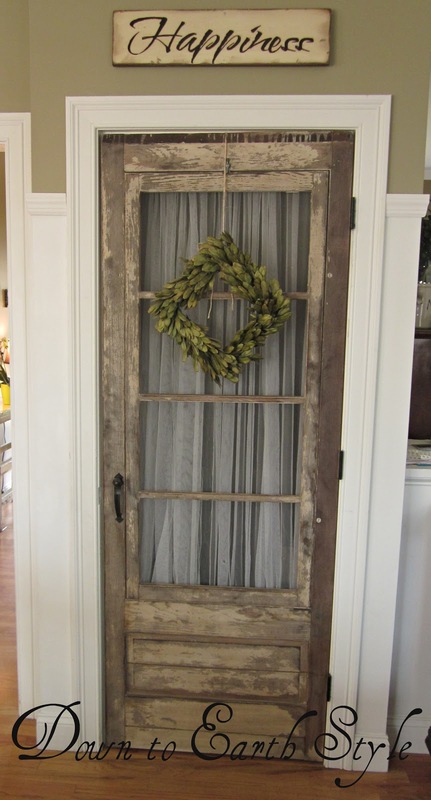 Farm doors – Wood from old farm houses and barns, including the doors and pulleys, is all the rage. 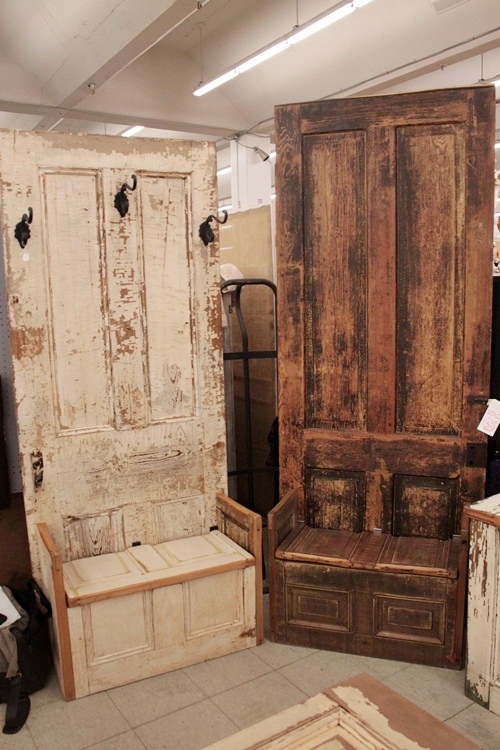 Here are a bunch of barn door ideas that are sure to send you out on many quests for more vintage wood. Sliding door how-to – Often coupled with the farm door theme, knowing what you’re doing when dealing with sliding doors is vital to a successful project. Follow this excellent how-to for good results. 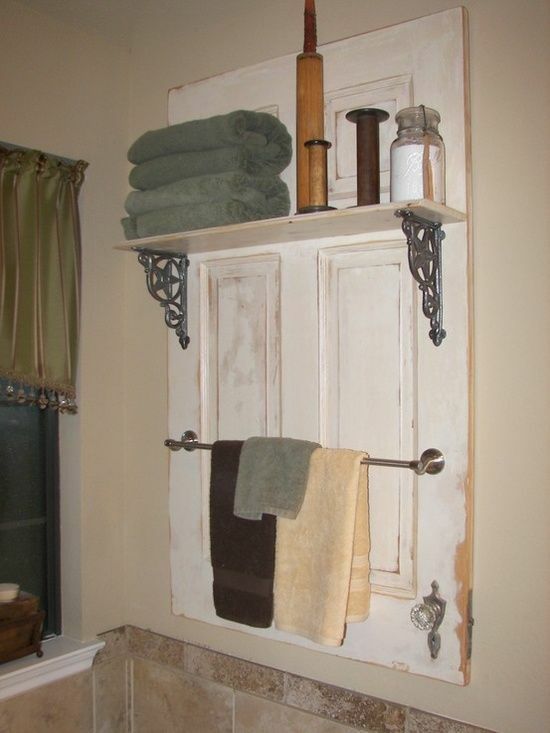 Headboards – Old doors make great headboards, if only because they’re available and easy to experiment on. Bold accent piece – Forget utility! Doors are great at just being…there, especially when the right colors and treatments are used. Door clock – With the right perspective, art is everywhere. This idea takes two things not typically associated with each other – doors and clocks – and jams them together. Replacing new with old – Replace a random new door with a savaged version to break up a boring room or hallway. Door shelf – Turn that old door into a 3D shape. The extra dimension will come in handy. Replacing a cabinet door with a weathered version – Something as simple as replacing a new door with an older one can set a piece off. Garden mirror and embellishment – An old door, a mirror, and some hooks make a great combination in this multifunctional garden piece. Door coffee table – Time for your door to get horizontal in this neat coffee table switcheroo. Door benches – If you have enough old doors around, turn a few of them into these nifty benches, which are perfect for garden viewing.